The basic principle of biological phosphorus removal is to expose bacteria to alternating anaerobic and aerobic conditions to promote “luxury uptake” of phosphorus. Under anoxic to anaerobic conditions, phosphorus accumulating organisms (PAO) have the ability to take in organic substrate. In order to obtain the energy to incorporate the organic substrate into the microbial cell under anaerobic conditions, the bacteria releases phosphorus into the wastewater. When aerobic conditions are restored, the organic substrate taken in is converted to energy and cell mass. This allows the bacteria to take in phosphorus then needed to fulfill its nutrient needs. 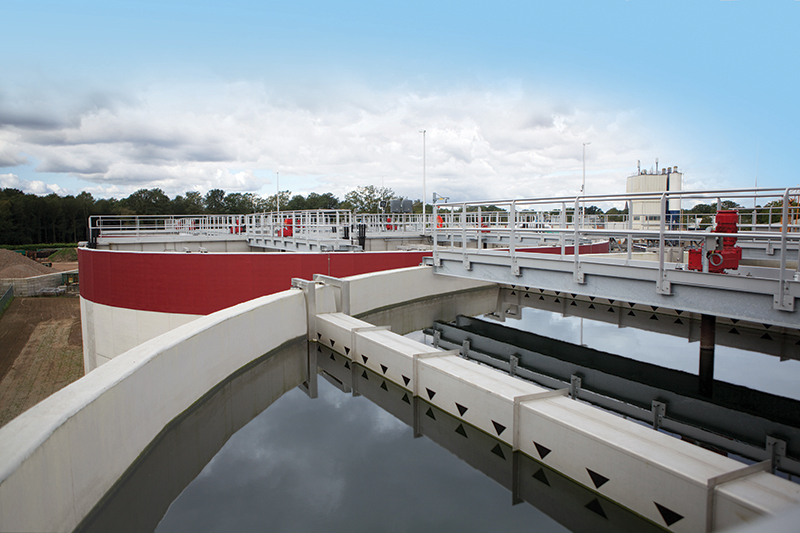 A well designed activated sludge process will include an anaerobic reactor, zone or period. The combination of this anaerobic selection and time based operation, leads to great phosphorus uptake, allowing for savings of chemical on processes with low phosphorus removal requirements. 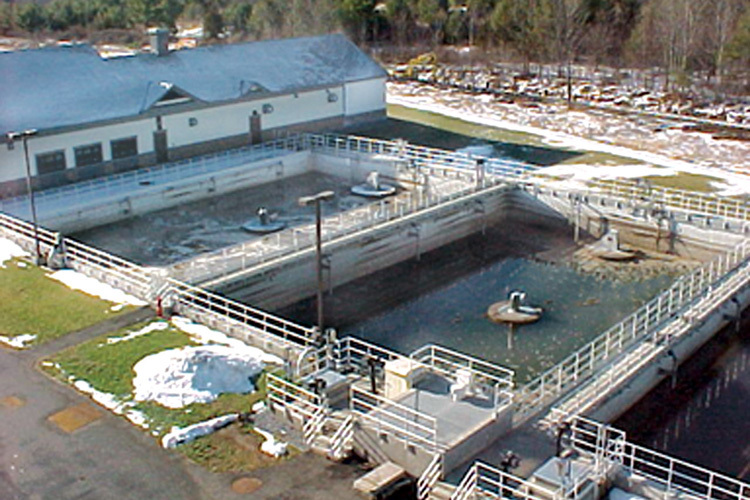 The Middlebury Wastewater Treatment Plant located in Middlebury, Vermont treats domestic and industrial waste received from a local dairy and a brewery. 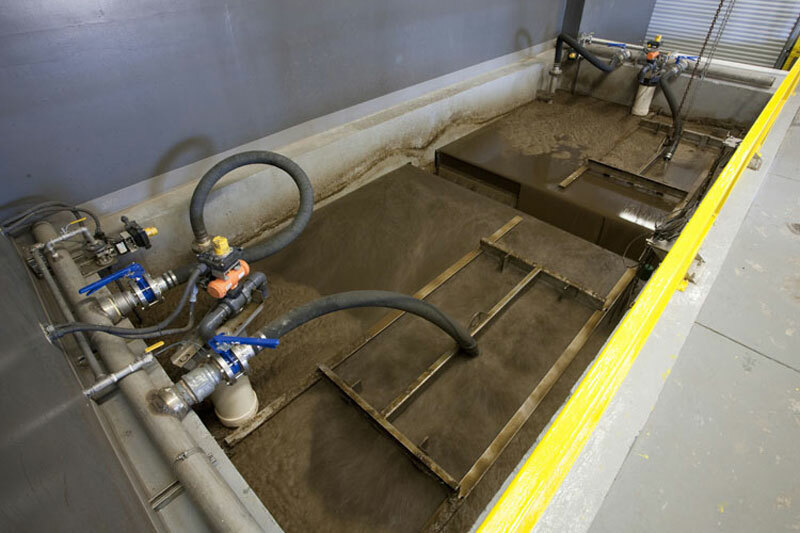 Based on the strategy of operation of the process for granulation with anaerobic feed and selective wasting, the aerobic granular sludge is an excellent system for enhanced biological phosphorus removal. It can achieve the lower phosphorus level biologically than activated sludge systems. A plant with an average design flow of 2.11 MGD and a peak hour flow of 9.5 MGD. The plant is performing very well and easily stays within the discharge requirements of total nitrogen below 8 mg/l and total phosphorus of less than 0.5 mg/l in the winter. The energy consumption is 40% lower than similar size CAS systems in the area. Anaerobic mixing is needed for enhancing biological phosphorus removal. This could be achieved in separate tanks or zones. Completely mixing the system provides the ideal distribution of substrate and bacteria, driving the reactions more efficiently. To help meet the stringent water quality standards for denitrification, the facility has employed (20) 7.5 hp AquaDDM mixers. 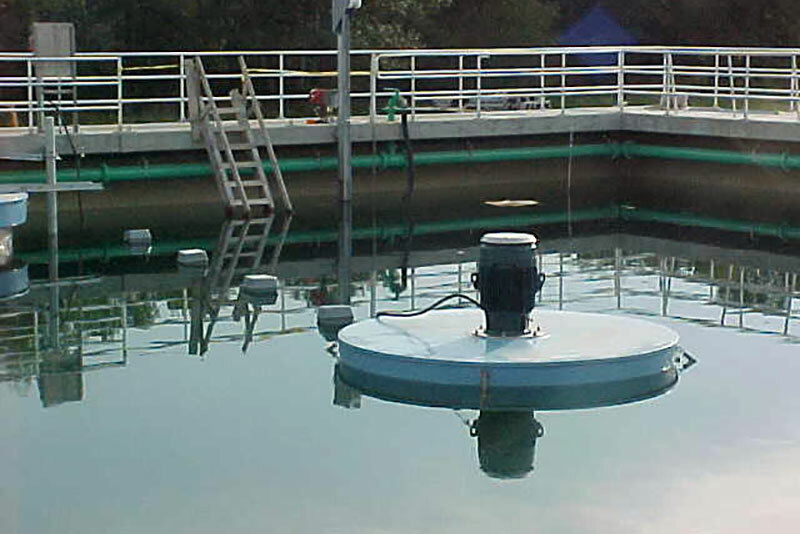 In 1994, Colorado Springs opted to install (20) AquaDDM mixers instead of installing submerged directional mixers. The combination of biological phosphorus removal and membranes is a great method of removing phosphorus. Biological phosphorus removal on the biological portion of the membrane system drives the phosphorus to the sludge, which is subsequently separated by the membranes. In 2010, Shepherdstown selected the Aqua-Aerobic® MBR Membrane Bioreactor as the new system which would treat the town’s wastewater. The decision was based on the ability to utilize the plant’s existing infrastructure without the need for additional tanks.